Wang Yixin believes she is now on a fast track to realizing her dream of being a master of the guzheng, or Chinese zither, thanks to a pioneering Chinese music program offered by Bard College, a four-year residential college of the liberal arts and sciences located 144 kilometers north of New York City. Wang is one of just four first-year students in the double degree program of the Bard College Conservatory of Music and its US-China Music Institute, in partnership with the Central Conservatory of Music in Beijing. The program, which combines the professional study of traditional Chinese instruments with a Western-style, liberal arts education, offers a groundbreaking undergraduate performance degree program in selected Chinese instruments, including erhu, guzheng and pipa. Studio instruction in these traditional Chinese instruments will be provided by world-renowned CCOM master musicians, using state-of-the-art video conferencing facilities, as well as in-person lessons on both the Bard campus and in Beijing. 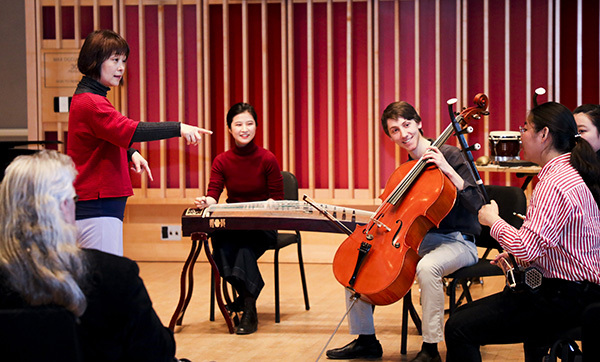 "I feel lucky that I can continue to study the centuries-old Chinese instrument here thanks to the program, which is the first of its kind in the US," Wang says on the Bard campus in Annandale-on-Hudson. She started playing the instrument at the age of three in China, but stopped studying it when she moved to Houston, Texas, with her parents in 2012. 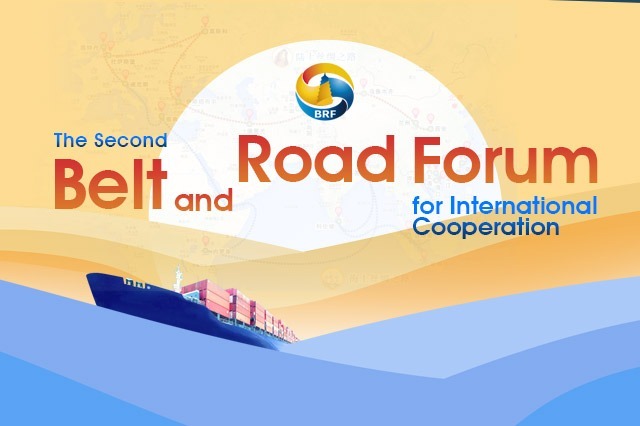 "There is an increasing interest in Chinese music in the country. Many American children, not only those of Chinese origin, are tending to learn Chinese instruments. I see great career opportunities," she says. 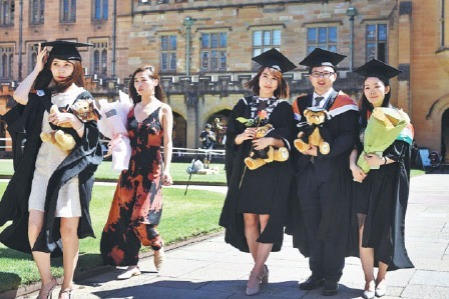 Wang and her BCOM peers graduate with a bachelor of music degree, majoring in the performance of a Chinese instrument, and a Bachelor of Arts in a field other than music. "This is another reason Bard attracted me. I chose math as my second major. I'll have an alternative choice even if it's not easy finding a job as a guzheng player upon graduation. At least it helps alleviate my parents' concerns about my future," Wang says.